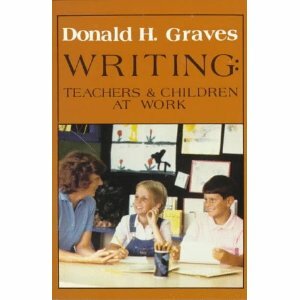 Donald Graves: a teacher of writing and an inspiration to many. Professor Donald Graves of New Hampshire University recently died of pneumonia at the age of 80. In the early 1980’s his research on student writing which became known as “process writing” had a profound influence on Australian educators including me. His book proved an inspiration to me. I was frustrated at that time focused on teaching students the mechanics of writing using set texts, with a little dictation and the weekly creative writing piece usually on a set topic. The kids were great in completing the set exercises often finishing stuff for homework. What I learned to do was teach the craft or process of writing trying to support students find their authorial voice. They learned to write for a purpose and audience and were encouraged to draft and redraft ideas and become risk takers. I think my learning through this period cemented a constructivist approach to teaching for me. It became important for me to check with students in weekly conferences on what their improvement goals were. I also learned the power of modelling my writing to students. His work had many critics who often misquoted him saying that one should not teach the mechanics of writing – which of course was incorrect – he would have said its important to teach these things within the context of student writing – not as a separate subject. Perhaps its best to hear Donald speak for himself. This post is important to me as it acknowledges the work of a great educator who had a profound effect on me as a teacher. His passing is loss. Previous Previous post: Here’s one for those who like to organise things! Next Next post: Memorable quote for leaders!